If you'd like to offer the library your financial support, please consider giving to the Greene County Public Library Foundation. The Library Foundation was established to provide a secure financial foundation that will ensure a legacy of excellence for the future. The Foundation does not replace tax money. Rather, it is intended to enhance the quality and range of library service beyond the level that is the responsibility of the taxpayer. You can learn more about the work of the Library Foundation at greenelibraryfoundation.org. If you're interested in donating money directly to the library for a gift book or memorial, please contact our Fiscal Officer at (937) 736‑7053. Our community library locations accept donations of materials. 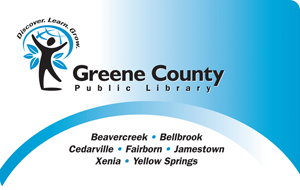 As many used items are not a good fit for our collection because of age, condition, or duplication of materials we already own, each location's head librarian or their designee will decide whether donations are acceptable for Greene County Public Library. We reserve the right to refuse any donations. We don't assess the value of donations or gifts. Upon request, we'll provide a receipt verifying the number of items donated. Donations not added to the library's collection are either given to the Friends group for sale at that location or sold by Greene County Public Library in an ongoing or annual sale.